WineKeeper Noir 1-Bottle (P/N 8008). 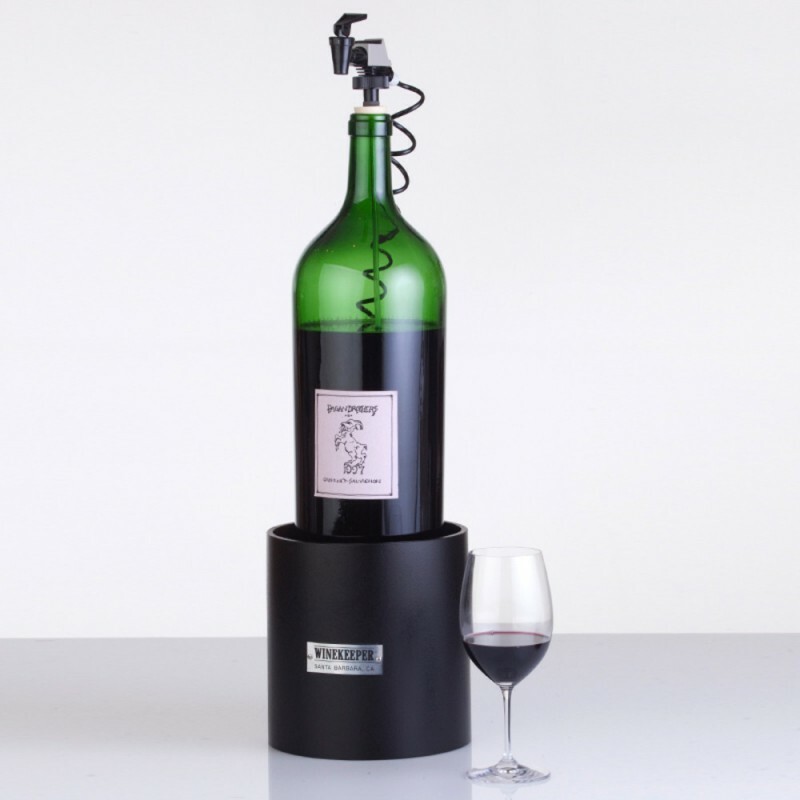 The WineKeeper Noir conceals a nitrogen canister to protect wine using a pressurized blanket of inert nitrogen that slows oxidation and spoiling. Its textured cylinder is a sophisticated display capable of being branded with your logo, and accommodates one 3-6 liter bottle. The Noir is a striking corporate or promotional gift for any occasion.